What if the Mayans are right? You are here: Home / Ryan's Ramblings / What if the Mayans are right? In one month, we’re going to find out if the Mayan’s got it right. On December 22nd either we’ll all wake up unscathed, or December 22nd, just won’t matter. Either way, the whole discussion of the end of the Mayan calendar allows an opportunity to think of both scenarios and if you’re a what-iffer it can have a profound impact on your outlook. 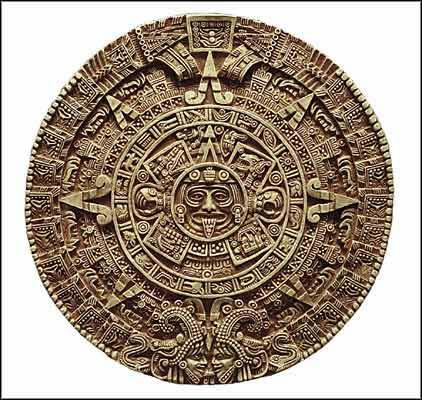 What if the Mayans are right, what will you regret? · Playing it too safe? · Counting too many calories? · Thinking about things too much? · Taking risks is a good thing and what makes life interesting. · While healthy bodies is important, denying yourself the simple pleasure of great food is denying cultural experiences. · How, in school when the teach you that your first answer in a test is usually the best one, that’s also true in life so don’t overthink things. · Everyone has love scars, but it’s the love scars that give you the strength to tough it out through the hard times with the one you want to spend the rest of your life with. · Vulnerability is such a beautiful thing and if we could all embrace our imperfections and not let them hinder our passion we could accomplish a lot more! Well played Mayans, well played.